You are currently browsing the tag archive for the ‘Hawksworth Wood’ tag. The Hawksworth Wood Fun Club provides school holiday activities for children and young people on the Kirkstall estate aged 8-13. During the past six months volunteers from Leeds University Union have hosted creative workshops to encourage local children to create and explore new art forms and develop their confidence (and interest) in the arts. 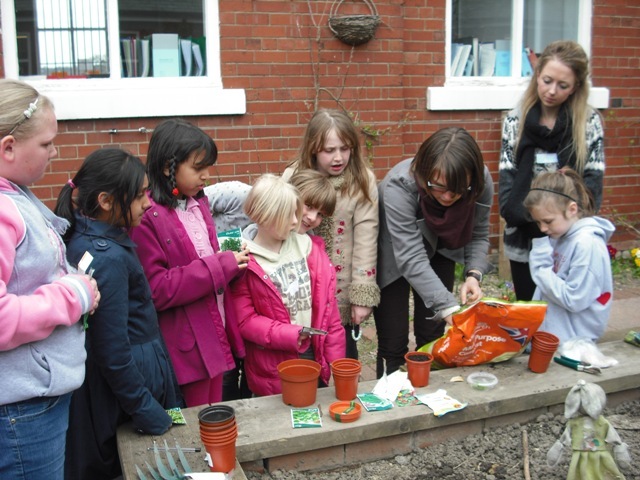 Some of their activities include how to design a garden, a Spanish Cafe, flag-making, writing and recording their own music and food art from produce they have grown from seed. Regular summer activities can improve concentration, encourage participation and re-affirm positive behaviour/interraction within a variety of art forms including drama, dance, crafts and visual art. The half term, Easter and Whitsun sessions have led to a Junior Youth Theatre being established at Hawksworth which will be a weekly gathering for young people in the local area to learn performance and drama skills. The theatre will be a long-term project for the area which will develop productions beyond the Find Your Talent programme.